We haven’t had a wardrobe post for a few weeks, which is partly due to lack of time, but mainly due to the fact that my little lady is growing so fast that we were down to the basics in her wardrobe. So I’ve pulled out the 3-6 month outfits from the ‘next size drawer’ and last week, I went to fix the hole in her closet and we have some lovely new outfits to show off over the coming weeks. I think I get more excited about going shopping for her than I used to for me, there is so much gorgeous stuff in the shops at the moment. So, first off, I’m absolutely in love with this little bunny sweatshirt from H&M – there was soooo much lovely stuff in their kids department that I really had to restrain myself! I’ve also discovered Choice for kids clothes – they stock old season or seconds of Next clothes for a fraction of the price and we have picked up some really lovely bits in there too. 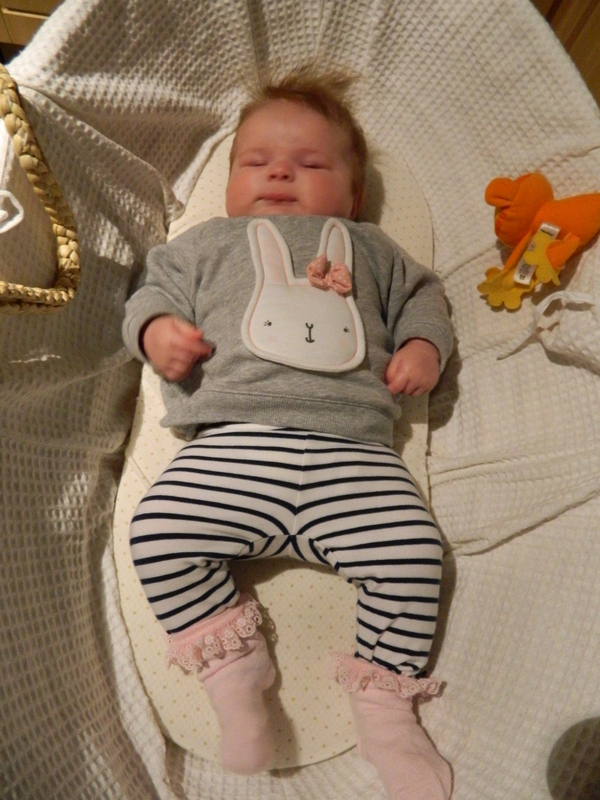 Bunny sweatshirt – £7.99, H&M; Leggings. £1.50, Choice; Socks, one pair of a set, £5, Next. Next is this cute little T-Shirt dress – I do like to try and have a few outfits which aren’t pink to mix things up a bit, but they aren’t always easy to find in baby girls offerings. 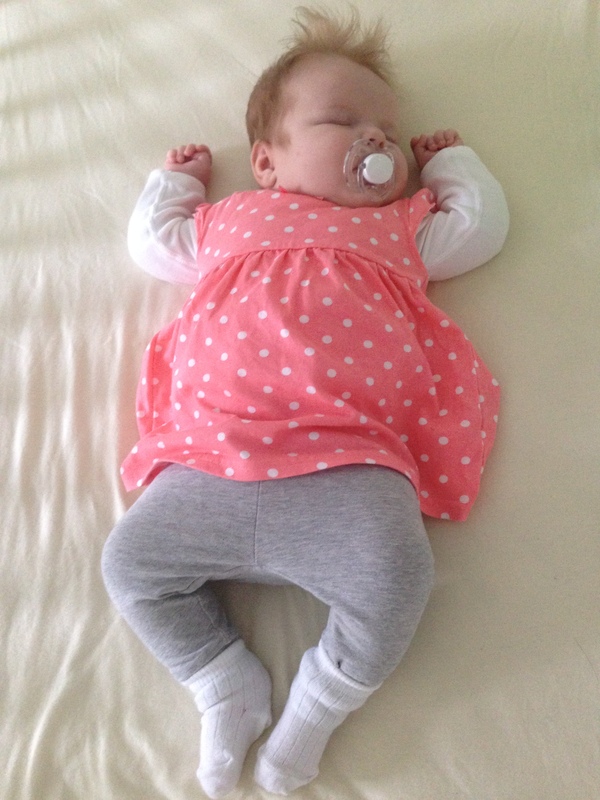 Dress, £3.50, George at Asda; Bodysuit, part of a set of five, £8, Matalan; Leggings, one from a set of two, £6, Next. And finally, we bought this little romper from Mothercare when I was pregnant and we didn’t know the gender. 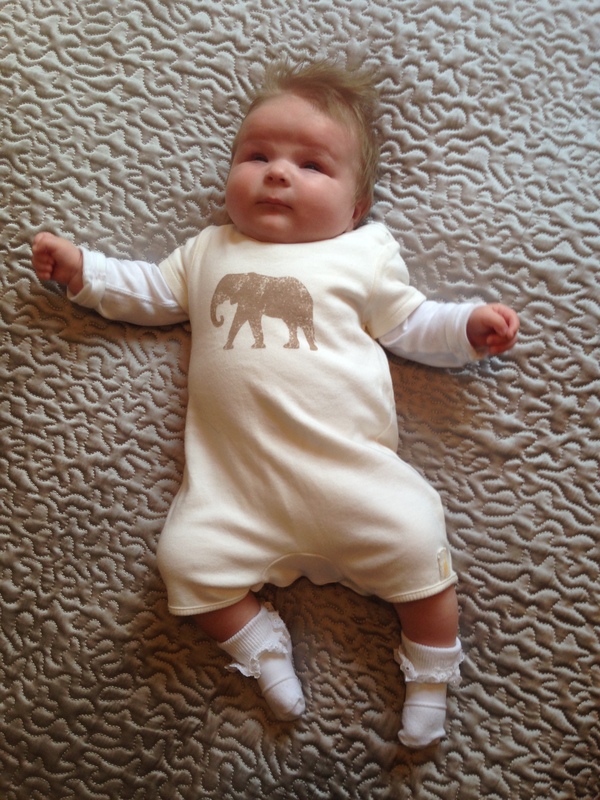 It came up huge on Lottie, even though it was a 0-3 months one, so she is wearing it with a bodysuit underneath to make it work in her winter wardrobe and I love it – it’s so soft! That bunny jumper is adorable! I love H&M for baby clothes and I am exactly the same, I get so much more pleasure buying clothes for Aria than I do for myself, I could spend a fortune on them! I’ve never heard of Choice before, will have to investigate! I’ve never heard of Choice before! I’ll have to have a look online (are they online??). Love her outfits so much 🙂 She is delicious!